This modern fireplace and TV family room was part of a major home renovation that we completed last month. The scope of the project was very large including building out this new fireplace and TV/wallunit. 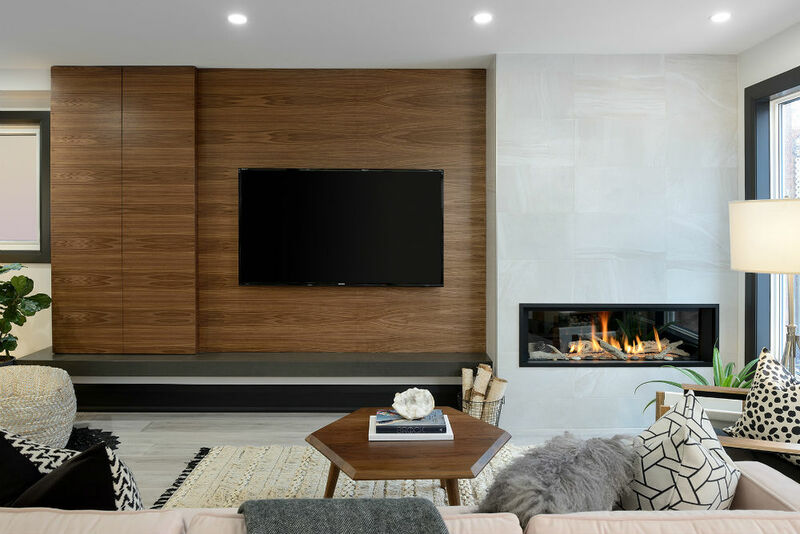 The complete space is more than 12 feet wide but the design makes it look complete by incorporate a cabinet doors on the left side with a grey ledge running along the bottom and then a sleek fireplace with tile surround running from the floor to ceiling with a TV in a centrepiece. Hope you enjoy the final outcome for this project.